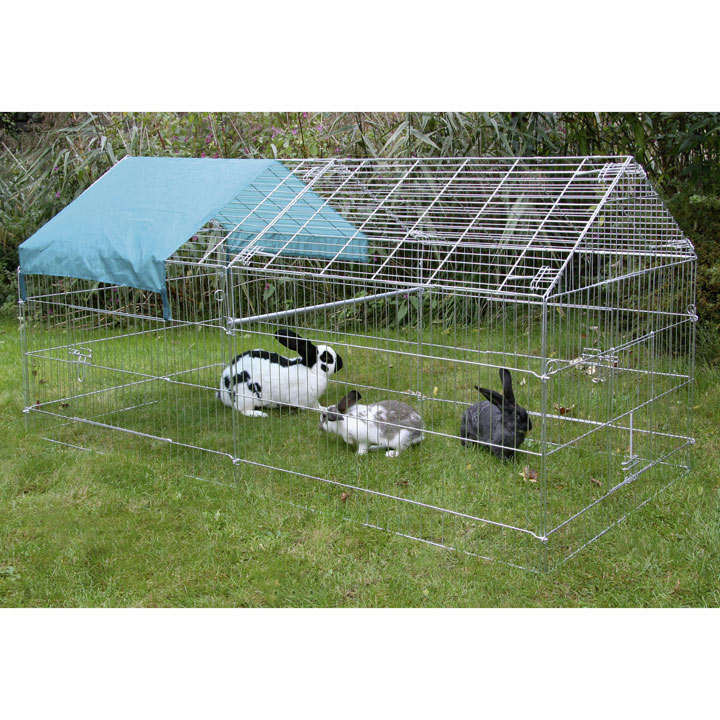 Outdoor enclosure for chickens. Galvanised. Includes sun protection shield. Perch. With 3 doors. Easy to assemble with ground spikes. Dimensions: 220 x 103 x103cm.